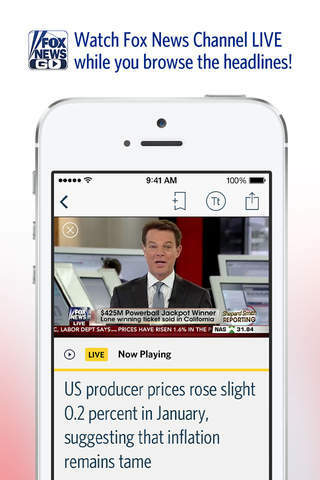 Fox News: Live Breaking News is a free new app for iOS made by Fox News Network, LLC. 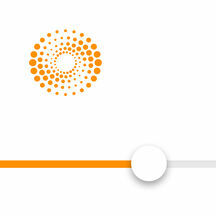 This is a great app for viewers. It helps to get real news. 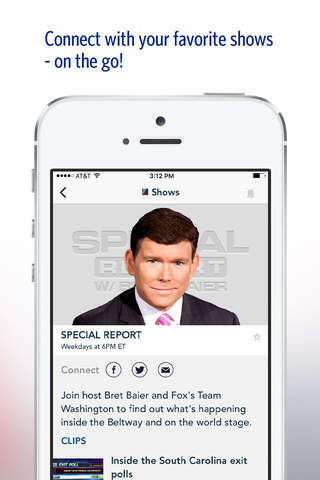 With the Fox News universal app for iPhone and iPad follow dynamic, real-time reporting from Fox News! Get comprehensive coverage of the day’s hottest stories with Fox News alerts, Fair and Balanced headlines, live streaming video through Fox News Go, vibrant photo galleries, and the latest video clips from your favorite shows on demand! 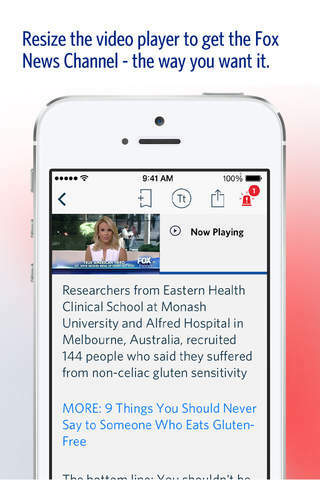 Highlights include: Live Video & Clips • With Fox News Go, watch 24/7 live Fox News Channel and Fox Business Network anytime, anywhere* • View streaming coverage of live events and exclusive programming available only online Multitasking • Browse the latest headlines while watching Fox News live coverage and clips on demand • Adjust the player size to you preference – go full screen by flipping your phone into landscape or shrink it down to audio only. • iPad only: Watch Fox News Channel in full screen or minimize and move to any corner of the screen while you read the top stories. Watch it your way Breaking News & Alerts • Subscribe to Fox News Alerts to follow breaking news as it happens • Keep an eye on the Breaking News Hub to stay up to date on a story as it unfolds Enhanced News Format • Articles now offer related content – view videos, slideshows, and lists for the news that matters to you Shows • View the latest videos from the #1 cable news shows and anchors on Fox News Channel • Connect with your favorite shows and news personalities on Twitter, Facebook, Instagram, and more directly from the app Apple Watch App • Scan the headlines in entertainment, politics, tech and more. • Save stories to read them later. • Share stories on Facebook and Twitter. 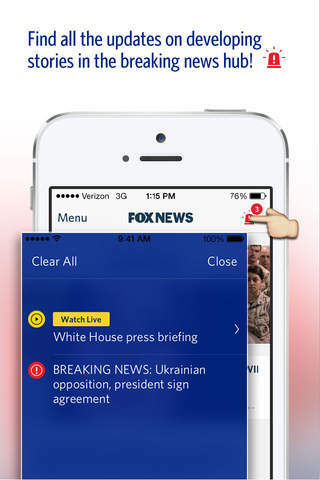 • Receive Fox News Breaking News alerts on your watch. New! 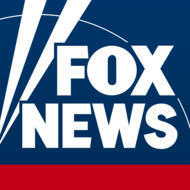 iPad exclusive features: The News Desk • The News Desk is your customized Fox News experience! 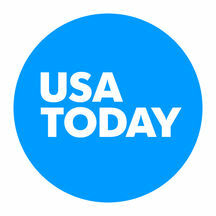 • Personalize it with the information you care about most, including topics, shows, and tweets. Reader Mode • Browse Fox News headlines faster! 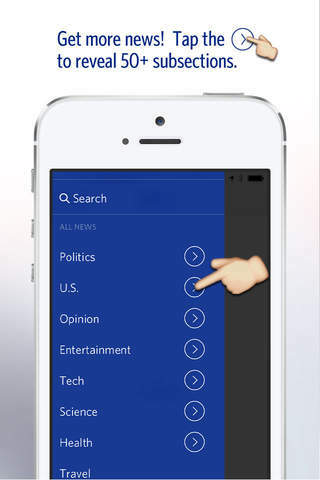 • Easily activate Reader Mode in Settings to quickly scan the latest Fox News stories. * An authorized pay TV subscription is required in order to watch live FOX News Channel and FOX Business Network. We may work with mobile advertising companies and other similar entities that help deliver advertisements tailored to your interests. For more information about such advertising practices, and to opt-out in mobile apps, see http://www.aboutads.info/choices/. 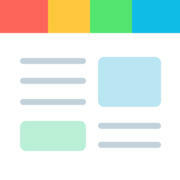 You may also download the App Choices app at http://www.aboutads.info/appchoices/. 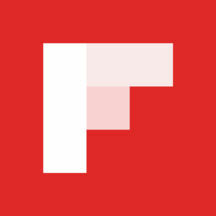 "Used by millions of people every day, Flipboard is the award-winning s..."
"From Pulitzer Prize winning storytelling and photography, to rich-medi..."
"This is the official RT News application. 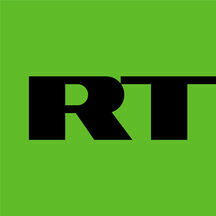 RT news - find out what the..."
"Your news in one minute. 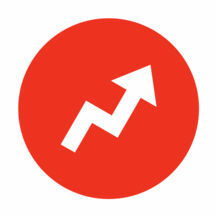 Get the award-winning, addictively simple new..."
"BuzzFeed has it all: the stories and quizzes trending on social, the n..."
"Reuters TV - It’s TV news for people who no longer watch TV. Install t..."